With over two decades of experience in the house and techno industry, Canadian artist Nitin Kalyan has established himself as a highly skilled and polished DJ on the global touring circuit. His story begins with Detroit, as the sounds of the Motor City emanated through his radio growing up in London, Ontario, which left an indelible imprint and inspired him to pursue a career in music. Record shopping in Detroit led to a meeting with Mike Huckaby and Nitin subsequently playing the legendary club Shelter at the age of 17. 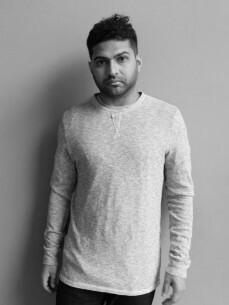 From throwing parties in his hometown, to relocating to Toronto in 2005, Nitin bolstered his DJ skills with regular gigs and became a prominent promoter in both London and Toronto. Shortly after, he was not only touring across much of North America, but also began making visits to Europe, and now plays frequently at some of the globe’s most legendary clubs, including DC-10 (Ibiza), Panorama Bar (Berlin), Fabric (London, UK), Output (NYC), Warung (Brazil), Stereo (Montreal) and Nordstern (Basel).